Josh left school in 2011 and went onto college to study business studies. 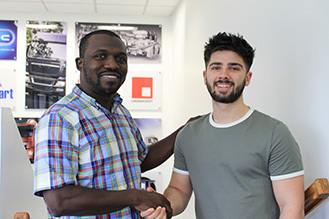 After passing college with Distinction grades, he started his first full time job, creating a catalogue for an automotive (CV Boot) manufacturer and supplier, then moved onto a position as Data Controller for a Cir clip manufacturer and supplier. This role helped Josh to expand his knowledge on Excel and he was able to put these elements into practice in a business environment. At Leyland Exports we pride ourselves on investing in the training of young employees. We can see great potential in Josh and know that he will be an asset to the team. For further information about Leyland Exports, please do not hesitate to contact a member of the Leyland Exports Team.